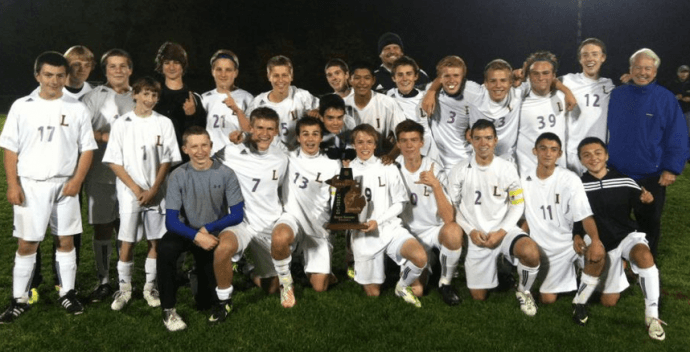 The Traverse City Record-Eagle reports that the Leland Comets went to the seventh shooter in a shootout with Hart to win the Division 4 regional soccer championship. Tony Mosqueda’s goal on that seventh shot ended up as the 2-1 winner, propelling Leland to Wedesday’s semifinals in Big Rapids. The victory puts Leland (25-3) in the Final Four for the first time in decades. “Someone said 1982,” Comets coach Joe Burda said. “It’s been a long, long time. The Comets will face Grand Rapids Covenant Christian (perplexingly) tomorrow night at 6 PM in Big Rapids, which is Halloween.